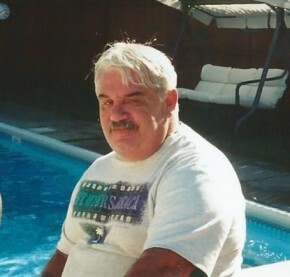 William J. Gaffney, III, age 72, of Fair Lawn, NJ passed away peacefully on April 14, 2019 surrounded by his loving children Michael, Rosemarie and Matthew. A 1965 graduate of Fair Lawn High School, Bill proudly served with the United States Marie Corps during the Vietnam War. In 1973, he met his angel, Vincentina Calabrese, in the guise of a nurse, they married in December of 1975 and had four children, Michael, Rosemarie, Matthew, and Christopher. Prior to retiring, he was a longtime employee and supervisor of the Fair Lawn Post Office. Bill was also employed as a bartender at several fine establishments including the Fair Lawn Inn and the Fair Lawn Athletic Club. Bill’s other loves were the New York Yankees and Jameson Whiskey. Bill is predeceased by parents William J. Gaffney, II and Marie (Massaro) Gaffney, a brother Brian, cherished wife Vincentina and beloved son Christopher. He is survived by his children Michael, Rosemarie, and Matthew and by a sister Diane and her husband Jack Dyer. The family will receive relatives and friends Friday, April 19, 2019, 5-8 pm at Vander Plaat-Caggiano Funeral Home, 13-31 Saddle River Road, Fair Lawn, NJ, 201-797-3500. A funeral service is planned for Saturday, April 20, 2019 9:30 am at the funeral home. Interment will follow at Fair Lawn Memorial Cemetery in Fair Lawn. In lieu of flowers, donations in memory of Bill to American Legion Post 171, 17-08 River Road, Fair Lawn, NJ would be appreciated. My sincere condolences to the Gaffney family. Rest in peace.....my longtime friend. You broke my heart Dad. I love you. So sorry to learn of the passing of your father, may God bless and welcome him home. Prayers to you and your family Mike.